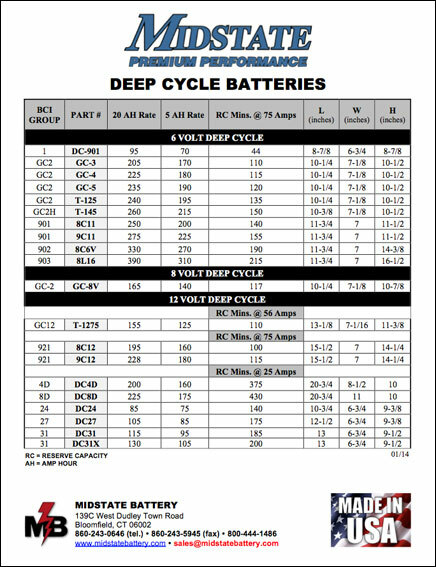 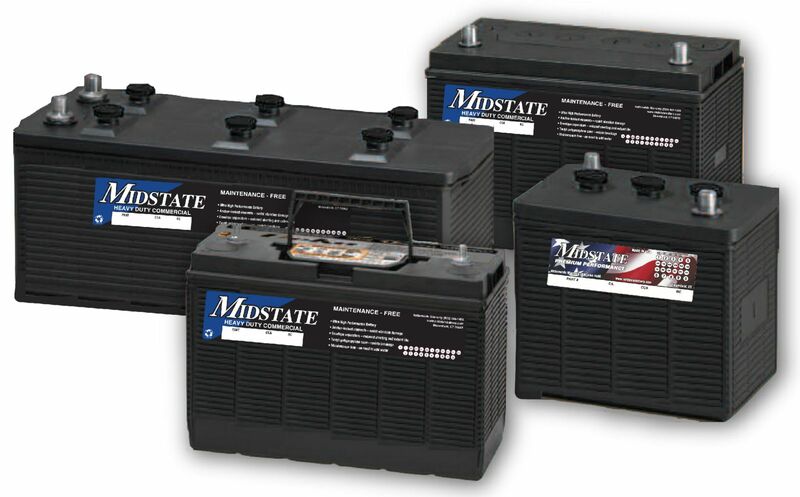 Midstate™ batteries are avilable for Automotive, Heavy Duty Commercial, and a variety of Deep Cycle applications, including: Wheelchair, Golf Cart, Scissor/Arial Lifts. 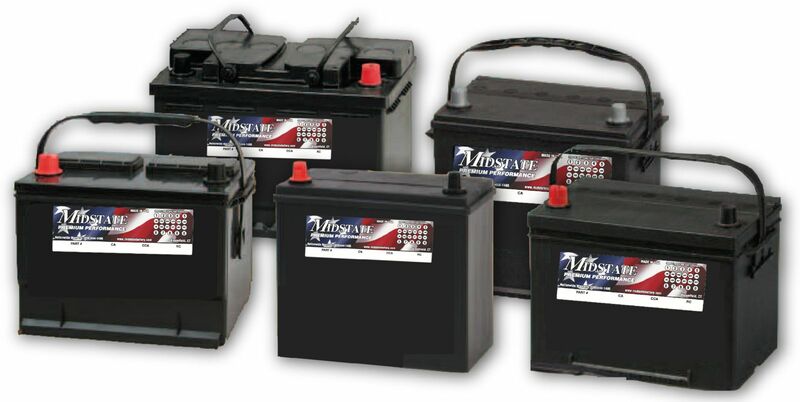 Midstate™ batteries are Made in the USA and guarenteed to provide you with superior quality and performance. 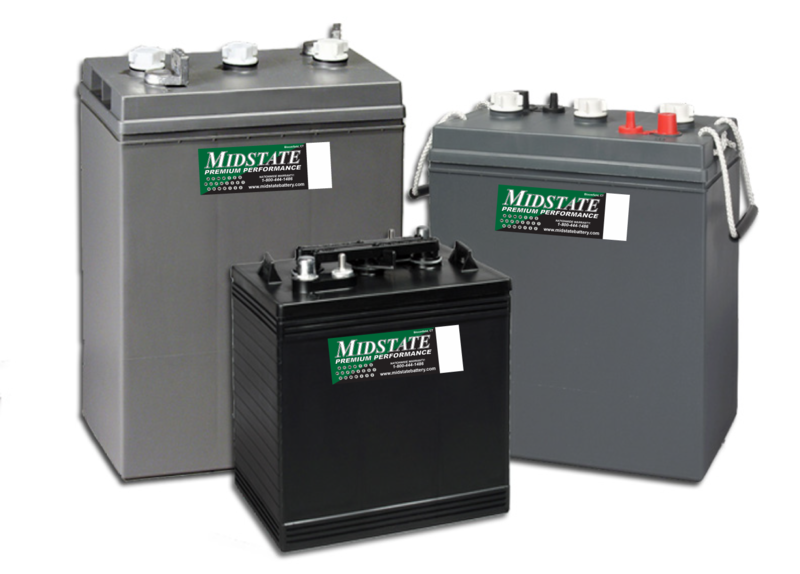 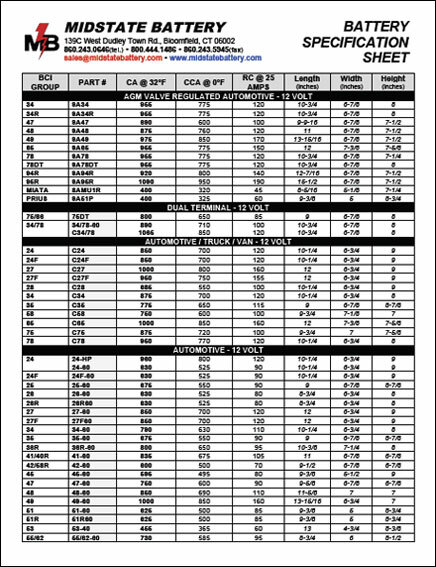 Because this brand is exlusive to MIDSTATE BATTERY, we encourage you to speak with one of our battery specialist for application and size information.